I am linky up with Collaboration Cuties for Must Read Mentor Texts. This is the first time that I have participated and I think that is such a neat idea! I LOVE to read! I especially love to read children books to children. Teaching 5th grade Math and Science really zapped that from me, even though I incorporated books when given the chance. 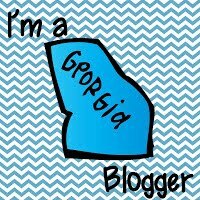 Back to School is on my brain (my favorite time of the year!)! 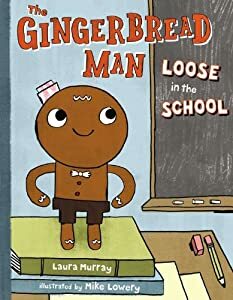 I am choosing The Gingerbread Man Loose in the School by Laura Murray! Below is a description from Amazon. When a class leaves for recess, their just-baked Gingerbread Man is left behind. But he's a smart cookie and heads out to find them. He'll run, slide, skip, and (after a mishap with a soccer ball) limp as fast as he can because: "I can catch them! I'm their Gingerbread Man!" With help from the gym teacher, the nurse, the art teacher and even the principal, a deliciously sweet ending is served up for both the Gingerbread Man and the children who made him. I actually bought this book through Amazon, for a cheap price, to use during the first week of school. I am going to put up wanted signs around my room and we are going to try to find the gingerbread man. As we go through the school we will get to take a tour and meet some important people. They will return to the room to find the gingerbread as a treat on their desk! You can find my collection of things to go with this book here! This book looks so cute- I have a book called Gingerbread Cowboy and your book would be a great one to get and do a text comparison of the two! Ohhh..I will have to look up Gingerbread Cowboy!! Thanks Brandee! My heart has always been in Kindergarten it just never came available in the school that I teach until this upcoming year! I am super excited! Thanks for following! I have this book and it is so cute! We usually do a whole gingerbread series in December and compare and contrast all of the versions! I received this book as a gift last year and I was so excited!! 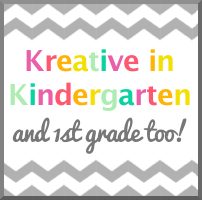 I think it's a great idea to start the year with it with your kindergarten class! Too fun! I hadn't heard of this book, and I LOVE it! So cute!